Shipping, transport and logistics are responsible for delivering an astonishing 90 percent of everything we buy, eat and wear, shipped in 700 million containers. Without shipping, globalization would not be possible. Our cheap habits, necessities – like food – and expensive shipping habits would disappear. For most people, shipping and transportation is the largest, multi-national multi-trillion-dollar industry we rarely think about. Technology plays an important role in transport and shipping. A few decades ago, loading and unloading ships in ports – getting the goods onto lorries and trains – employed hundreds of thousands around the world. Now all of this is automated. Ports are complex logistical operations, largely managed by machines and software. Ships still need human crews; but with modern vessels capable of carrying up to 18,000 forty foot containers, they could not operate without layers of software and hardware sending data signals to the crew. However, the wave of disruption from new technologies and innovation has been slow to reach and influence the insular and slow-moving transport and shipping sectors. Want to book a container or some space within a container? 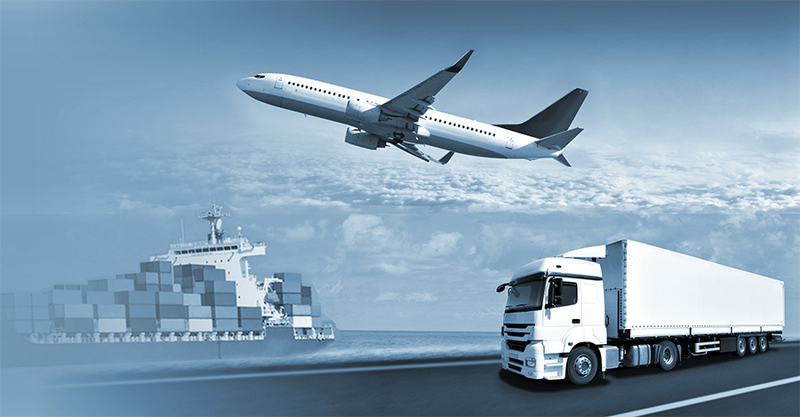 Until recently, you needed to get quotes from freight forwarders. Working with freight forwarders, it takes around 60 emails and 20 phone calls to arrange a shipment. It can take anything from hours or days to get a quote, followed by weeks of paperwork to get it booked and collected. Once fees are paid, there’s no accurate way to track cargo, not until it arrives in port. All of this is changing, rapidly, if some of the biggest tech companies in the world have anything to say about it. In 2016 alone, $5 billion was invested in the global supply chain. In 2017, considerably more has been invested and big players have stepped in with deep wallets and global ambitions. Amazon is expanding its logistics divisions around the world, with a fleet of 27 Boeing 767s, 250 logistics facilities and an extensive network of trucks and external transport delivery partners. Amazon is also expected to invest $5 billion in Indian and Middle Eastern acquisitions. Alibaba, a Chinese tech giant with Amazon-sized ambitions, is investing $15 billion in warehouses, delivery, and data development, according to the Freightos LogTech Review Q3 2017. Two Alibaba-backed companies, Best Logistics and Cainiao have more money than ever to streamline the supply chain, improve last-mile delivery and transform freight forwarder services. Alibaba is also using over 100 self-charging robots to pack goods faster in a fully automated factory. Uber Technologies is also in the freight transport industry, alongside ten startup competitors who’ve raised around $134 million between them. In 2016, Uber acquired autonomous truck startup Otto, founded by two former senior Google engineers, for $680 million. Most of Otto’s team of 90 have been recruited into Uber’s Advanced Technologies Center in Pittsburgh, and the service has been rolled out as Uber Freight. Hundreds of other startups, of varying sizes, and large corporations, are finding ways to innovate and disrupt the freight and shipping sectors. Automated and self-service platforms and services are transforming freight forwarding the same way that holiday and flight booking platforms upturned travel agents in recent decades. Small and medium sized businesses don’t need to go through freight forwarders. They can get automated, instant quotes, book shipments online and track collection through new services, such as Freightos, Kontainers, Flexport, and several others. With the involvement of tech giants – Amazon, Alibaba, Uber, Tesla, Google, and others, we can expect further innovation in a sector that will impact 90 percent of everything that needs to be physically shipped from one location to another. Just imagine the combined impact of innovations and investments on globalised trade!